If you're thinking of working for Uncle Sam, it's probably for the money. This is a valid reason, and the pay is certainly good. In fact, you'll earn more as a contractor than an employee, although there are trade-offs. So, how much can you make? That depends. According to the latest figures (2017), the average federal worker makes $90,794 per year. In comparison, the average federal contractor made $100,848 during the same period. Those rates will vary based on your role and agency. The downside, which we explain in a bit, is that contractors don't receive benefits. Doing contract work gives you more wiggle room in your business activities and growth. Maybe sitting in a cubicle eight hours a day isn't your speed, although there is no guarantee that a contract position won't require that you work on-site. As a business owner, however, you have more flexibility over the type of work you decide to take or reject. You can try a government contract and, if you don't like it, decide not to renew once the contract is complete. Even though contract work requires voluminous amounts of paperwork, these jobs are easier to get than a government position. One of the benefits of applying for contract work is that small businesses can take advantage of set-asides, which are contracts reserved for them exclusively. Full-time government positions are notoriously difficult to land, but they are coveted due to their pay, benefits, and stability. If getting a position with the federal government is your goal, contracting can be one way to get your foot in the door. Working in a contract capacity, you will not only gain valuable experience but also some excellent contacts. Many contract employees are offered full-time work, and it is easier to make this transition than it would be for someone to get a position with no relevant experience. There might be a learning curve to landing your first government contract but, once this is behind you, there is the opportunity for long-term relationships. Some contracts are for just one year, but many are for three years at a minimum. Once that period is complete, you can generally expect a renewal if you've done good work and fulfilled your end of the agreement. The fact that you are dealing with a government entity usually means that you can be assured of payment. This greatly reduces the risk of doing work and then not getting paid. Payments are typically made within 30 days, and even sooner for construction work. If you don't get paid within the terms of the contract, the government will also pay you interest on the amount they owe. The federal government has a ton of rules and regulations. 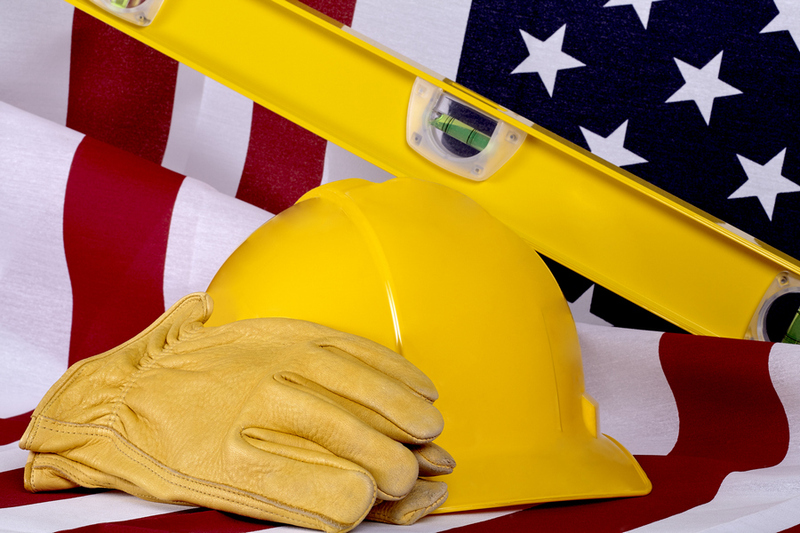 Every federal contractor is required to follow the Code of Federal Regulations and a variety of other labor standards. There are also limits to what you can subcontract. Just the process of bidding on a government contract requires that you register with the System for Award Management (SAM) and the SBA. Plus, you'll need to have a NAICS code and a DUNS code. After jumping through these hoops, you're going to have to write up an RFQ and an RFP, and potentially several of these depending on how many different contracts you want to bid on. Assuming you go through the motions of applying for a government contract, it would be a mistake to believe that you're the only person willing to do this work. It's no secret that the government has deep pockets, so the competition is stiff for many contracts. If you are a small business, you might find yourself competing with major companies and losing the work due to lack of experience or resources. Finding a niche in this type of work can help you land more contracts related to your specialty. While your salary might be a bit higher than a government employee, you won't get any benefits such as health insurance, paid time off, and retirement packages. This is a significant downside to doing contract work, but it's also the price of self-employment. If you've already decided to self-fund these items, you understand the tradeoff. Unless you have thick skin and can deal with little to no work camaraderie, you should forget about government contract work. As a general rule, government workers look down on contractors, with the belief that they make their jobs more difficult and are even trying to get them fired. Even members of the public view some government contractors as being overpaid slackers that are taking advantage of oversized budgets. If you need constant affirmations, this isn't the role for you. If you're used to just doing what it takes to "get 'er done," you might want to look beyond government contracting for the ideal position. First, it can take time to get the award for the contract and begin work. There may also be bureaucracy involved during the contract. Decision-making about the progress of your work or just the answer to a simple question can be a slow process, which can be incredibly frustrating. While we listed "stable employment" as a benefit to contracting with the government, there is another side to this coin. Nothing is set in stone, so there is always the possibility that the contract will end or not be renewed. Since the government is a Sovereign entity, it has the power to unilaterally revise your contract, alter the priority of work, change quantities, and even outright terminate your contract for convenience. Budgets and priorities can change within government, and what you thought was a secure gig soon becomes a source of resentment. While government contractors can largely count on being paid, there are exceptions. When the government shuts down, contractors are generally furloughed alongside regular employees. Those regular government employees have always been provided with back pay, but this hasn't been the case with contractors. Both in 2013 and again in 2018/2019, the government elected not to pay furloughed government contractors. You might do a bang-up job for some government agency, and still find yourself under the microscope because - taxpayer dollars and bureaucracy. In fact, the government has the right to put surveillance at your facility, which is turn off enough for most professionals. This is rare, though. What is more common, however, is the demand for an audit of your financial records, which can be inconvenient and costly. As you can see, you have options when it comes to working with the Federal Government. There may be some cash available, but is this the right opportunity for you and your business? If you still have questions about the financial benefits, and potential downsides, of government contracting, we can help. We work closely with a wide variety of government contractors and are a GSA Schedule holder that specializes in government audits. Get in touch with us today.